Netgear R6300 Wireless AC Dual Band Gigabit Router is the latest router from Netgear. This model supports wireless standard 802.11 ac. IEEE 802.11ac standard offers Gigabit speed over a wireless connection, and the simultaneous dual-band feature ensures minimum interference with other wireless devices. In this tutorial let us check how to configure a Netgear R6300 wireless router with a Cable Internet modem. Most of the cable Internet service providers ensure the usage of cable Internet on just one computer by registering the MAC address of the computer. No other computers (with different MAC address) are allowed access to the Internet. With Netgear R6300 Wireless AC Dual Band Gigabit router we can overcome this limitation set by Cable Internet Provider and share cable Internet among multiple computers. Connect Cable modem to the WAN/Internet port of R6300 and power on both devices. Connect a computer (on which cable modem is configuring) to the LAN port of Netgear R6300 Gigabit router. Do not forget to select Use Computer MAC address and make sure you are on the same computer on which cable modem configured. If you do not clone MAC address in Netgear R6300 Wireless AC Dual Band Gigabit router, you may not able access Internet from your cable ISP. 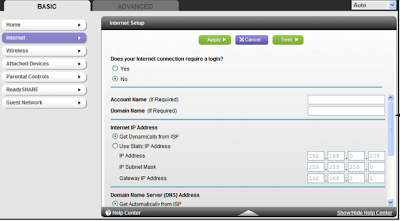 The last step to configure Netgear R6300 router with a cable modem is to check if IP address is renewing automatically. If not, follow the steps below. 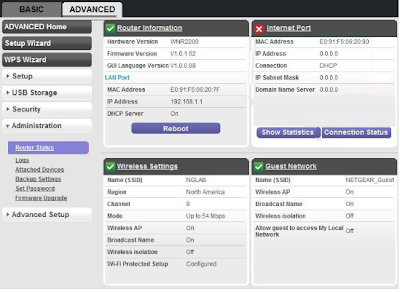 You can always look at this page to check the public IP address Netgear router gets from the cable modem. 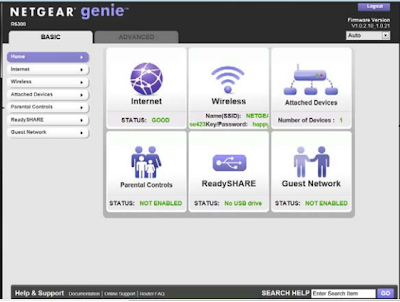 You can connect at least four computers using Ethernet cable with a Netgear R6300 router because it has four Ethernet ports in addition to the wireless computers. With MAC address cloning you will not face any issues with sharing Internet among all the computers connected to the router. If you feel Internet speed from Netgear R6300 Gigabit Router is lower than before, click on the link below to troubleshoot it.